Feel a luxurious touch in your room by placing this Hamadan design hand-knotted silk carpet. It is woven in Hamadan pattern which has been originated from Iran in 16th century. This carpet is a true statement of a floor. 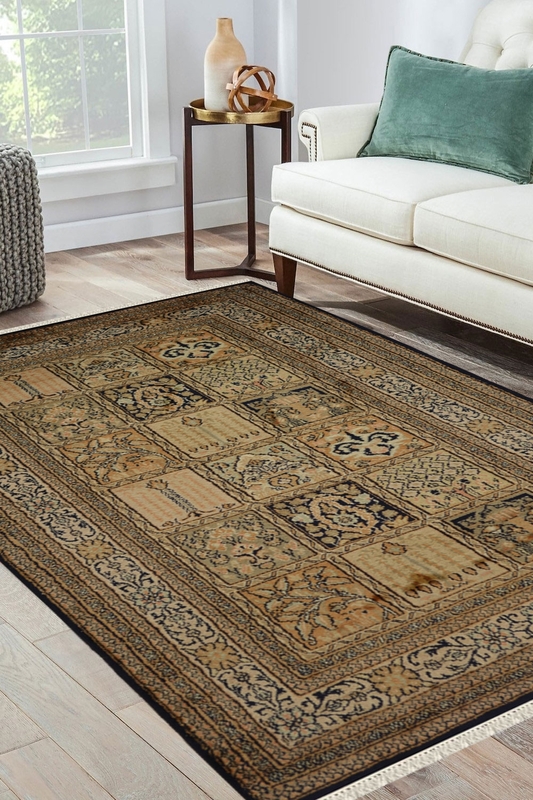 Give your interior a touch of royal Indian style with this pure silk handmade rug from India. Enhancing the beauty of skilled hand-woven craftsmanship in bright color and pattern, this handmade rug from India is the true satisfaction for your luxurious style and traditional mood. Traditional Panel Hamadan Handknotted Silk Rug is made in pure silk and cotton material and contains 324 knots per inch. It is made on a handloom which is 100% operated by human efforts.